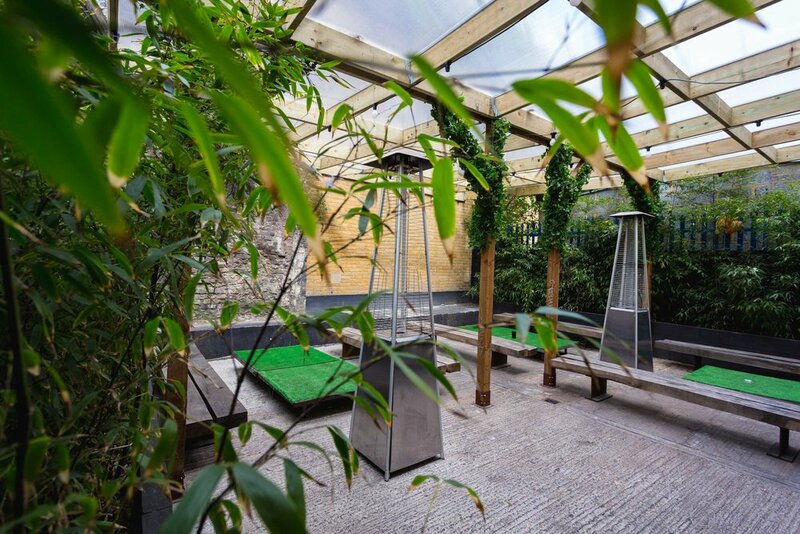 " A London hideaway with a Secret Garden"
Bermondsey Social Club is situated underneath a railway arch In the heart of Bermondsey. The indoor event space can hold up to 120 people and the unique outside area can host 40 people seated. Tucked away in a quiet street the space has a sense of privacy and a real get away from the hustle and bustle of Central London. We boast to have one of the finest, most secluded outdoor areas south of the river. Where the train lines splits our idilic outside courtyard sits. A real hideaway with a Secret Garden BSC is Ideal for private parties and much more. A 10 minute walk from both Bermondsey tube ( jubilee ) line and Surrey Quays ( East London Overground ). Almond Road is recognised as a recently regenerated road housing a bundle of creative industries. Notably Partizan Brewery which is a part of the Bermondsey Beer Mile. Space for up to 120 people and approximately 1600 sq feet combined, Full of unique features, the Social offers a fantastic venue to suit all. Bermondsey Social has the capabilities to host a wide range of events from private parties,live gigs, pop ups, catered events, corporate events, film screenings and product launches as well as film / photo shoots. BSC has a license until 4am on a Fridays & Saturdays and 1am from Sunday - Thursday. Equipped with a fully functioning bar, P.A, Technic Decks, Pioneer CDJ’s & Pioneer mixer plus a projector. BSC is a wonderful place to celebrate and party in a private environment. We can also recommend caterers should you want food at your event.